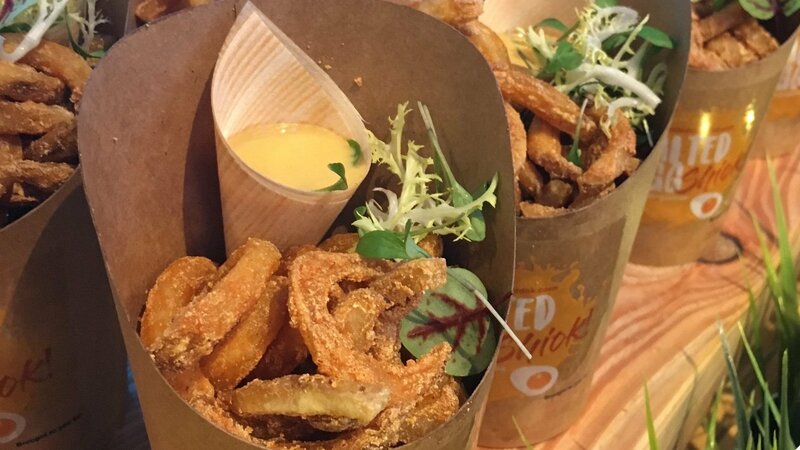 Treat your diners to a tantalising combination of two crowd favourites, crispy curly fries and a buttery smooth salted egg dip. Cook this to perfection and you could create a loyal following with this sinful dish. Place all your ingredients into a mixing bowl, and mix well (until ready to use). Melt margarine in sauce pot, stir fry curry leaves and chili padi until fragrant. Add in pre-mixed salted egg paste, stir-fry in low heat until foamy. Pour in evaporated milk and keep stirring until smooth.